Knitter, lawyer, and safer beauty advocate in San Francisco. Loves coffee, crafting, and cheese plates. Feb 13 Happy Valentine's Day! In lieu of sending you each a handmade Valentine (Hey, I thought about it! I only have like 4 readers, right? That's totally doable.) I decided to compile a few of my favorite Valentine's ideas from the internets that I've seen over the past week. 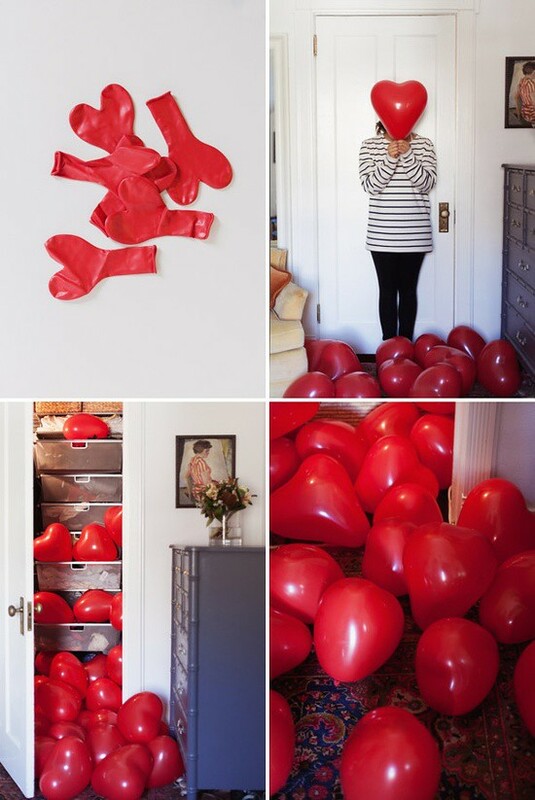 This too-stinkin-cute balloon DIY photo comes from a new favorite blog of mine, Oh Happy Day, which shows readers how to a) live in San Francisco in the most adorable way(s) possible, and b) fill someone's closet with balloons. My new goal is to pull this trick on every friend I have for every occasion that I can muster up. 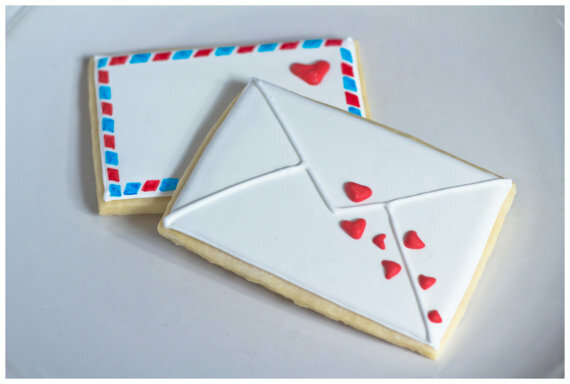 These "letterpress" sugar cookies look too good to eat. But you can bet anyone getting them for v-day would gobble them up anyway! I don't know if I have the patience for icing them so professionally but that's why this woman is selling them on Etsy. For people like me. 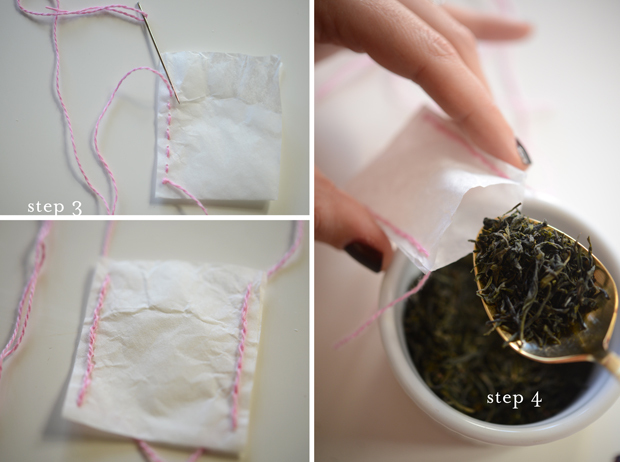 I'm excited to try this DIY teabag tutorial for the next time I need a casual gift for a friend. It looks relatively simple, but heartfelt and thoughtful, so you get all the credit for only some of the work. That's the name of the game here, folks! Just kidding. But seriously, it's a really sweet way to personalize a gift for someone. And that always makes people feel good. What are your thoughts about Mister St. Valentine and his little hearts and arrows and naked winged tush taking over the day? Do you looooooove love, or are you in the camp that thinks Valentine's Day takes away from sharing love all year? Share in the comments! I'd love (ha) to hear. Get updates and special content straight to your inbox.